When I was asked to try out Simply Choices by Wellness Foods of course I said yes. I love trying new things and finding foods that I may not know about or never have the chance to try. 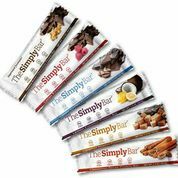 I was given the chance to try their Simply Bar each of these bars have 16g of protein in them and they are 160 calories or less. 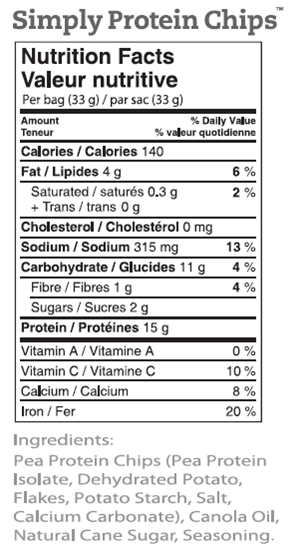 Each bar has 16g protein, more firer than sugar, and 160 calories or less, with 4 grams of fibre. 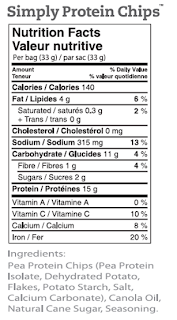 We have yet to find a natural protein bar with as much protein paired with this few calories! Or with so little sugar and so much Fiber! So, fill up on protein - not fat and calories. These tasted really good their was really only one flavor I didn't care for and that was the coffee flavor. Other then that they were pretty good. 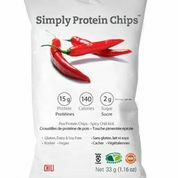 I was also sent their Simply Protein Chips at first I wasn't sure what to think. I have never seen chips like this before. So I figured why not lets give it a try the two flavors I was sent to try was the Chili and the Herb flavor. I loved the Chili flavor I like things a little spicy. But as far as the Herb one goes I didn't care for that one to much. Pea Protein Chips - Spicy & Slightly Sweet. 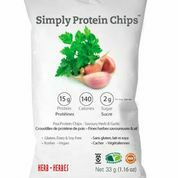 Made with under 10 ingredients, including: Pea Protein Chips (Pea Protein Isolate, Dehydrated Potato Flakes, Potato Starch, Salt, Calcium Carbonate), Canola Oil, Natural Cane Sugar, and Seasoning. Each 33 g bag has 15 g protein, 140 calories and only 2 g of sugar! Go check them out on Facebook these are great little snacks to have around! !